Easy Boat Booking was developed to provide our clients with a simple way to book a boat online, wherever they may be in the world. In 2009, we started with just a few local boats on the French Riviera and today we have over 600 boats and more than 30 partners worldwide. Our service has been the main reason for the success of Easy Boat Booking. To book a boat, a client just needs to simply call or send us an email with information such as location, number of passengers, boat type, and duration of the rental and we will take care of everything from there. If there are boats that match your needs, we will quickly provide you with different proposals. Easy Boat Booking first began because we had a passion for boats and the open sea. We believe that everyone needs to live the thrilling experience of riding a boat, whether it is in a sailboat, motorboat, or a yacht, departing from Monaco, Dubai, Saint Tropez, or Thailand. Our friendly and experienced staff make it their top priority to make sure that your experience with Easy Boat Booking will be unforgettable. Rest and relax in ultimate luxury with our wide selection of lavish yachts from the French Riviera to Dubai. From compact (10-14m) to mega yachts (50m+), we have exactly the type of yacht you are looking for. All of our yachts are crewed. We can also provide a range of additional services from private chef to private fitness classes onboard. Spend your vacation in style and indulge yourself with a top of the line yacht charter from Easy Boat Booking. Contact us by phone or by email today to leave an inquiry. Discover our heavenly catamaran locations on EasyBoatBooking.com and you will be convinced that a catamaran rental is just for you. Catamarans provide you with the excitement and expertise of traditional sailing but with an increased amount of stability than a standard sailboat. Catamarans are ideal for families as they have a wider deck and more living space than a traditional monohull. At Easy Boat Booking, we provide you with access to a variety of catamarans to all cities in the South of France, from Saint Tropez to Antibes to Monaco. We also have catamarans available in many cities around the world including Langkawi, Mallorca, and Phuket. If you are interested in renting a catamaran, please don’t hesitate to contact us by phone or by email. Have you ever dreamed of casting up a sail or successfully completing a bowline knot on your own? If you answered yes, then a sailing boat charter with crew should be first on your list for your next vacation. If you are an experienced sailor you can also rent the sailboat on your own. At Easy Boat Booking, we provide a wide range of sailboats of all sizes, brands, and locations. From the French Riviera to the British Virgin Islands to Greece, we will have an available sailboat wherever you may go. Contact us today by phone or email for enquiries about sailboat charters. Easy Boat Booking has the largest selection of motorboats around the world. Motorboats are perfect for a half-day, full day, or weekend rental to have a nice, casual visit by boat. It is the most popular and the most cost friendly service we have! If you are visiting the South of France, then don’t hesitate to check out our excellent selection of motorboats from Saint Tropez to Monaco. If you want to spend an incredible day on a boat, contact us by phone or email today! No need to break the bank with a boat rental. Our semi rigid boat rentals are affordable and will provide you with an unforgettable time out in the water. Also, our semi rigid boats are often times rented from transfer and tender services. 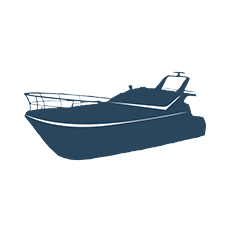 Visit Easy Boat Booking and browse through the wide selection of semi rigid boat rentals of all types, brands, and sizes. Contact us today by phone or email to submit your inquiry. Easy Beach Booking is an online platform to book sun beds and umbrellas on the most divine private beaches in the South of France from Cannes to Saint Tropez. As the leading website for private beach booking on the French Riviera, our clients from around the world return year after year to use our service. To book a sun bed and umbrella, you just need to search for the beach that best fits your needs and then send an email or give us phone call with important information such as dates, number of beds, and locations and the rest will be taken care of by our friendly staff. Easy Beach Booking provides our clients with an easy to use platform for all the private beaches available, but it also provides an important service for big events such as the Cannes Film Festival, congresses and weddings. We dedicate our time and effort to the satisfaction of our clients and an experience they will never forget while visiting the most beautiful region in the world. Book your sunbed on one of the most famous private beaches in Cannes and enjoy the amazing life on the French Riviera. Cannes is the capital of glitz and glamour on the French Riviera, thanks to world famous Festival de Cannes.If you are visiting the South of France, Cannes is a must-see during your vacation. From shopping to visiting the old town “Le Suquet” to walking down La Croisette, Cannes has something for everyone. However, the majority of the beaches in Cannes are private so if you want to spend an enjoyable time at the beach, it is necessary to book a sunbed on some of the best beaches on the coast. We would be glad to help you with your questions so send an inquiry or give us a phone call and we will do our best to make sure your vacation is perfect! We also provide special private beach offers in Cannes that you can only find on Easy Beach Booking. Monaco is famous for their luxury and wealth. It is world renown for high profile events such as the Monte-Carlo Rolex Masters, the Monaco Grand Prix, and the Monaco Yacht Show. You can also discover the world famous Monte-Carlo Casino. After visiting the city, you can also experience the magnificent private beaches that stretch down the coast. The best way to spend your time in Monaco is to spend the day at a private beach, the Casino by afternoon, and then a night club to top it all off! At Easy Beach Booking we will be more than happy to help you with your reservation for a private beach in Monaco, so don’t hesitate to call or send an email. We also propose special private beach offers in Monaco to maximize your enjoyment on the beach. Come discover the world famous Saint Tropez during your vacation on the French Riviera, and you will experience the authenticity of a French fishing town with a luxurious twist. Saint Tropez is covered with a variety of beautiful private beaches and restaurants that will entertain you and your friends all day long. Contact us at Easy Beach Booking and we will be more than happy to find the right private beach just for you. While visitng the capital of the French Riviera, discover what Nice has to offer from private beaches to the magnificent city skyline. Have a casual walk along the Promenade des Anglais and enjoy the beautiful view of the Mediterranean that lines the traditional French architecture. You will also uncover the wide selection of private beaches along the Promenade des Anglais. You can book online one of these private beaches on Easy Beach Booking. Contact us today by sending an email or giving us a call! Juan Les Pins is a great city because of its central location on the French Riviera and the variety of private beaches to choose from. If you visit Juan Les Pins, reserving a private beach is highly recommended because you will be able to finally relax without any distractions. You can also book a table on the private beaches and experience the world famous French cuisine with your feet in the sand! Contact us at Easy Beach Booking and we will find the right private beach just for you. Don’t forget to check out our special offers for the best private beach deals on the French Riviera! As the newest member of the group, Easy Bed Booking has been developed to provide our clients with an easy to use hotel booking website and access to thousands of hotels around the world in the most prestigious locations. To book a bed, you need to just specify your desired location, dates, and length of stay and Easy Bed Booking will provide you with a list of the best hotels to choose from. Then, with just a few more clicks, you will be booked and ready to go to the hotel of your dreams. Easy Bed Booking is a trusted source of the top hotels around the world dedicated to the satifaction of our clients. Our aim at Easy Bed Booking is to simplify the complicated hotel booking and time consuming vacation planning process of our clients. Discover the hottest destination in France the next time you plan your vacation. The French Riviera is a must for those who love culture, sunshine, and the sea. From private beaches to medieval villages, the South of France has it all. Easy Bed Booking is here to help you find the right hotel during your stay. Don’t hesitate to contact us by email to submit your inquiry. Experience the lively and colorful city of Nice the next time you visit the French Riviera. From world famous hotels such as the Negresco to popular, low cost hotels such as the Best Western, Nice has plenty of choice for all budgets. Discover the beautiful city of Nice today! 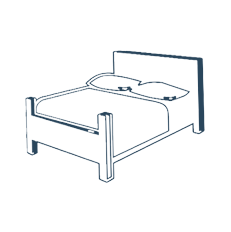 Contact Easy Bed Booking by email to submit an inquiry. Discover the world famous hotels in Cannes and feel like a movie star. From the historical Intercontinental Carlton Hotel to the modern Martinez Hotel, there is a choice for everyone. Experience the glitz of glamor of this small seaside city and book a hotel room today in Cannes. Make your vacation memorable and live in luxury. Contact Easy Bed Booking by email to submit your inquiry. The next time you visit the South of France it is a must to stay in the small Principality of Monaco to experience the richness of the culture Monégasque. From high profile events to private beaches to museums, Monaco is sure to have everything you need to spend a pleasant vacation. We at Easy Bed Booking are here to help you to find the right hotel during your stay. Please don’t hesitate to contact us by email to submit your inquiry. Antibes offers visitors an incredible contrast between history and present. From the ‘Vieil Antibes’ to the Billionaire’s Quay, there is something to new to see on every street. Discover the charming hotels of Antibes the next time you visit and experience this lovely city in the South of France. With Easy Bed Booking, we would be more than happy to help you find the right hotel for you and your family. Contact us by email to submit an inquiry today. Easy Berth Booking was created to allow clients to easily search available berths for sale or for rent in ports around the world. 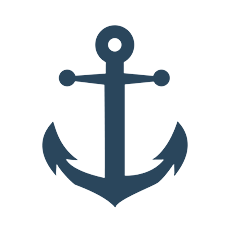 We strongly believe that our passion for boats should not stop at boat rentals but should extend beyond to satisfy all the needs of our clients. Easy Berth Booking adds a new dynamic to our Easy Booking Group because our clients, whether a boat owner or a casual renter, can now dock their boat wherever they go. Our service is ideal for those on vacation who are planning to cruise from city to city with their family and friends. Additionally, Easy Berth Booking is a fantastic way to purchase berths if you are a boat owner or even if you are just looking to make an investment. We also specialize in high profile events such as the Monaco Grand Prix and the Cannes Film Festival. Easy Berth Booking has successfully satisfied a missing component in the online boat industry by providing our clients with a service that was otherwise nonexistent. Our reputation for professional customer service made famous by Easy Boat Booking will certainly make your experience with Easy Berth Booking just as pleasant. Are you looking for an investment that you just can’t pass up? A berth place in Nice is just what you are looking for! The French Riviera is a very popular destination year after year thanks to kilometers of sandy beaches, crystal clear water, and warm sunshine. Discover the berth places for sale on Easy Berth Booking today and begin an investment you will not regret. Contact us by email or by phone to submit your inquiry. From Port Fontvieille to Port Hercule, Monaco docks some the world’s most beautiful yachts and sail boats because of its internationally renown destination. Monaco entertains with the most lavish events from the Monaco Grand Prix to the Monte-Carlo Rolex Tournament. Easy Berth Booking can find you a berth place for your yacht the next time you visit Monaco. Park your yacht side by side with some of the expensive yachts in the world the next time you visit. Just send us an email or give us a call to submit your inquiry and we will do everything from there. Join the likes of the rich and famous this year when you visit Cannes by booking a berth place for your yacht or sail boat. Cannes is home to some of the world’s biggest events such as the MIPIM, Cannes Film Festival, and the Cannes Lion. Berth spots are being booked a year in advance for these events, so don’t hesitate to contact us at Easy Berth Booking by phone or email as soon as possible. Antibes, home to the Billionaire’s Quay, is centrally located on the French Riviera in between Saint Tropez and Monaco and is a very popular destination for boat lovers. With just a short walk away, discover the beautiful, old city and the long, sandy beaches of Antibes. Contact Easy Berth Booking today if you would like to dock your yacht or sail boat in Antibes during your next visit. To submit your inquiry, please call us or send us an email. Although we are based in the French Riviera, we are also expanding our reach internationally. From Italy to Turkey, Easy Berth Booking provides you with a selection of berth places for rent and for sale. Don’t hesitate to contact us by phone or email to submit your inquiry about a berth place outside of the French Riviera. We will do our very best to help you. Easy Car Booking was created to provide our clients with a simple way to access a variety of cars to rent online, from luxury to family. Whether you are travelling to the French Riviera for vacation or for a business meeting, Easy Car Booking will allow you to book a car quickly and easily. To book a car with us, a client just needs to send us an email or give us a phone call with information such as location, type of car, and length of the car rental and we will take care of everything from there and email you a confirmation of your reservation. Unlike the big car rental companies, we establish our presence as the leading local car rental providers on the French Riviera. We work with partners whom are passionate about cars and the region and will dedicate their time to satisfying your needs. Easy Car Booking will simplify the process of renting a car for you. On your next vacation or business trip, feel the freedom and mobility of a small, compact city car while driving through the narrow, busy streets of Nice. Browse our wide selection and you will be sure to find the right city car just for you. These cars are also perfect for a small family with minimal luggage looking to explore the South of France quickly and efficiently. From Italian to French carmakers, you will have a nice selection to choose from on Easy Car Booking. Please don’t hesitate to contact us by phone or email to submit your inquiry of a city car you desire for your next vacation! A comfortable, reliable family car is essential for your next trip to the South of France. You will be surely using the minivan to travel from city to city to get the most of your vacation, so finding the right van with all the necessary options if very important. At Easy Car Booking, we have a selection of family cars from Citroën to Nissan, perfect for a large family with luggage. Discover our choice of family cars today and don’t hesitate to send us an email or call to submit your inquiry. Become one of the stars in Cannes on your next vacation or business trip with an ultimate luxury car rental. By just pressing on the gas pedal of a sports car, the roar of the engine will make you grip your hands tighter on the steering wheel and all your childhood dreams will come rushing back. Don’t miss out on this opportunity to really stand out while driving down La Croisette! 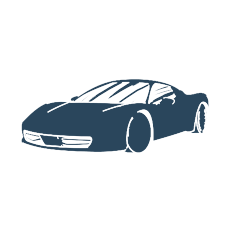 At Easy Car Booking, we provide our clients with a large selection of luxury cars; from BMW to Ferraris to Bentleys, you will be sure to find the right car just for you on our website. Don’t hesitate to give us a call or email to submit your inquiry. Chauffeur services are the best hassle-free way to travel. Now you don’t have to stress about finding a parking spot or getting lost in unfamiliar cities with our professional and experienced chauffeurs. Our chauffeur services are often used for distinguished events such as the Festival de Cannes, Monte-Carlo Rolex Masters, and the Monaco Yacht Show. With Easy Car Booking, you can reserve a chauffeur with all types of luxury cars from a Mercedes E Class to Mercedes Viano. If you are in need of a chauffeur service on your next trip, don’t hesitate to contact us by phone or email and we will find exactly what you are looking for. Experience the thrill of driving pristine, classic cars next time you are visiting Saint Tropez. Sitting in authentic bucket seats with a Mahogany wood finish interior and hearing the rumble of the engine will leave you in a state of bliss, so don’t miss out on this unique experience the next time you are out on the French Riviera. From classic Porsches to Ferraris, discover our selection of classic cars on Easy Car Booking and reserve your dream car on your next trip to the South of France. If you find the classic car you have always dreamed of, don’t hesitate to contact us by phone or by email to submit an inquiry. 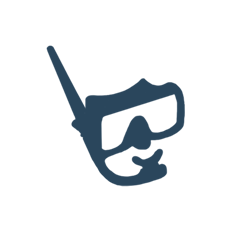 Easy Dive Booking allows our clients to search diving centers online in their desired location. Easy Dive Booking was created to provide our clients with a simple booking service to discover the extraordinary depths of the ocean. In early 2013, we had only local diving centers in the South of France but today we have partnerships in all four corners of the world including some of the most popular destinations such as Thailand and Australia. Once you discover a diving center you like, simply call us or email us and we will take care of everything. Our diving centers accept all levels from beginners to experts and will provide you with all of the necessary equipment and professional supervision. We created Easy Dive Booking because we believe that everyone should have the opportunity to discover the natural beauty of our planet Earth and our service will now simplify your search for this memorable experience. During your next visit to the South of France, explore the underwater world of France’s largest island, Corsica. This island, located just 4 hours by boat, is home to the most beautiful marine life in all of France. There are dozens of scuba diving centers at all the best locations of Corsica. On Easy Dive Booking, we make it easy for you to choose from which diving center suits you depending on skill level, location, and price. Please do not hesitate to call us or send us an email to submit an inquiry. Beginners are always welcome at our diving centers! You can become a licensed diver in less than a week for an unbeatable price the next time you visit the South of France. There are a lot of choices from Monaco to Saint Tropez, but the best are in Nice! Browse through our selection of dive centers on Easy Dive Booking and select your center today. Send us an email or give us a call to submit your inquiry and we will do everything from there. Monaco may be known for glitz, glamor, and major events happening almost every month, but in fact, Monaco is also well known for the unique scuba diving experience. Add a new adventure during your stay in Monaco and book a dive center during your next visit. Browse our selection of dive centers on Easy Dive Booking and book today. Send us an email or give us a phone call and we will do everything from there and quickly confirm your booking. The Italian coast has plenty to offer for experienced to beginner divers. Some people even call it ‘the most diverse diving in the Mediterranean’! Add a new adventure to your next vacation to Italy by booking a dive center today. Browse through our selection of dive centers on Easy Dive Booking and once you find the one you like, just send us an email or give us a call. Having trouble choosing one? We will be glad to point you in the right direction! Cannes may be famous for the Film Festival and five-star hotels, but it is also home to an incredible marine life that would be a shame to miss out on the next time you visit. Spend some time off the busy streets of Cannes and enjoy the tranquility of the underwater world. Book your dive center in Cannes today by calling Easy Dive Booking, or even an email with your inquiry would be perfect too! When organizing your vacation or business trip, wouldn’t it be easier to just ask one company to manage everything from what car you will drive to what hotel you will stay at? At Easy Booking Group, we do just that. You simply need to give us a call or send us an email with your enquiry and we do the rest. Every day, our team manages client enquiries for yacht charters, car rentals, hotel bookings, private beaches, diving centers, and berth reservations. Our mission is to provide quality service while saving time and money for our clients. 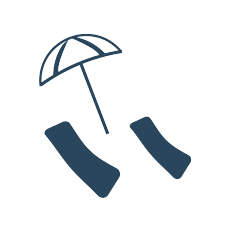 We welcome you to the Easy Booking Group, the ultimate booking platform on the French Riviera. Follow our official Easy Booking Group Blog to learn about current events on the French Riviera! Why join the Easy Booking Group? Easy Booking Group is a company that is in full expansion and is experiencing exponential growth. With dozens of partners all over the world, we have established a true global presence. We are proud to share a common vision with our employees whom are constantly in the development of current or new web projects aimed to satisfy our clients. Are you interested in joining the Easy Booking Group adventure and believe you have the right characteristics for this industry? Please do not hesitate to contact us! Our team will be excited to meet you!